Yesterday, I was in the drugstore winding my way through the aisles & went to grab some hair spray for my kit. Low & behold, a very confuzzled looking man was standing there with 3 different products in his hands. Poor thing! All of the stuff in his hands was complete crap (Dove styling product, some L’oreal studio line hair putty nonsense & some non-descript product I’d never cared to take in before). I took one look at his sorry self & told him that he should try the styling products by Got2b. I’ve tried nearly all their products which work really well but particularly the spiking gel & freeze hold hairspray (mega yellow can) work WONDERS on men’s hair. He dropped all the junkie stuff & grabbed 2 Got2b products. I felt like I was a temporary superhero & saved a man from wasting his hair product dollars & also from having really bad hair. Moral of the story, when it comes to beauty: if YOU know better then help someone else to CHOOSE better! Have you ever seen someone picking up a terrible beauty product that you just knew wasn’t going to work or had terrible wear & tear or poor pigment? What did you do? Would you be a product superhero too? DIY Face Mask for all skin types! Mix all 3, scrub and slather on a clean face & neck, wait 15-20 minutes…. and presto! wash off with warm water first, then cold water & pat your face dry. This facial can be used on ALL skin types (oily, dry, combo, acne prone, aging…) and wakes skin up while exfoliating away all the little nasties that love hanging around. Yogurt is chock full of vitamins that are good for your skin like calcium, vitamin D, vitamin B and zinc (which is particularly good for blemishes or acne). Honey is a natural antiseptic and is great for moisturizing & killing bacteria in the skin. Oatmeal is a great natural and cheap exfoliant that becomes softened once added to this mix so it’s never to harsh to use on the face. Try it out & tell me what you think! I love a good deal. I swear, my pulse quickens when I see a great deal and know I have a coupon lying around somewhere that will make that deal a major cheapie! Today, I found a MAJOR CHEAPIE! 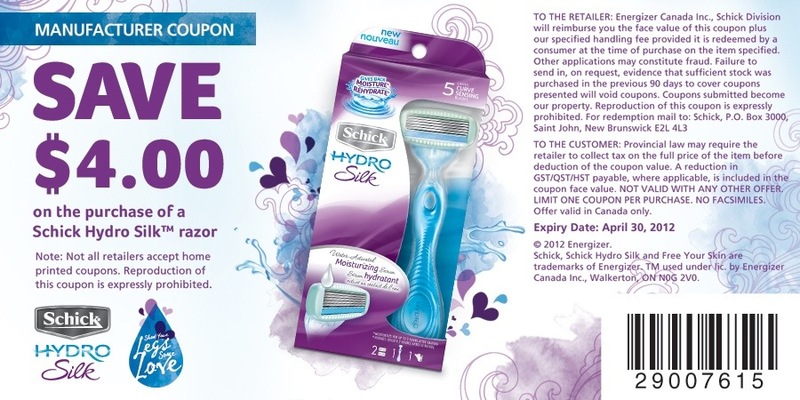 At Rexall they have the new Schick Hydro Silk razor for women on sale for $9.99. 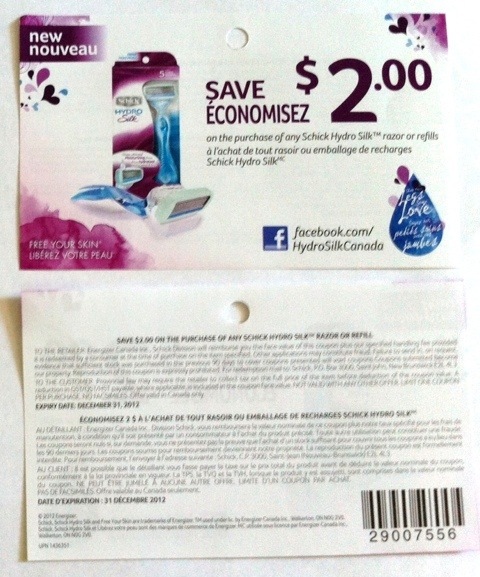 There’s also a manufacturer’s coupon for it online for $4.00 off (image attached) and in store, there was a pad of coupons on the display for $2.00 off! And they let me coupon stack! I was over the moon. $3.99 is a price you can’t beat, so I thought I’d share. I love drugstore deals nearly as much as makeup deals! Happy hunting! Makeup Giveaway! Win $50 in Free Makeup! Contest Closes February 29th and is open to Canadian residents only. Enter at the link below for your chance to win a makeup swag bag filled with gorgeous goodies (a $50 value). 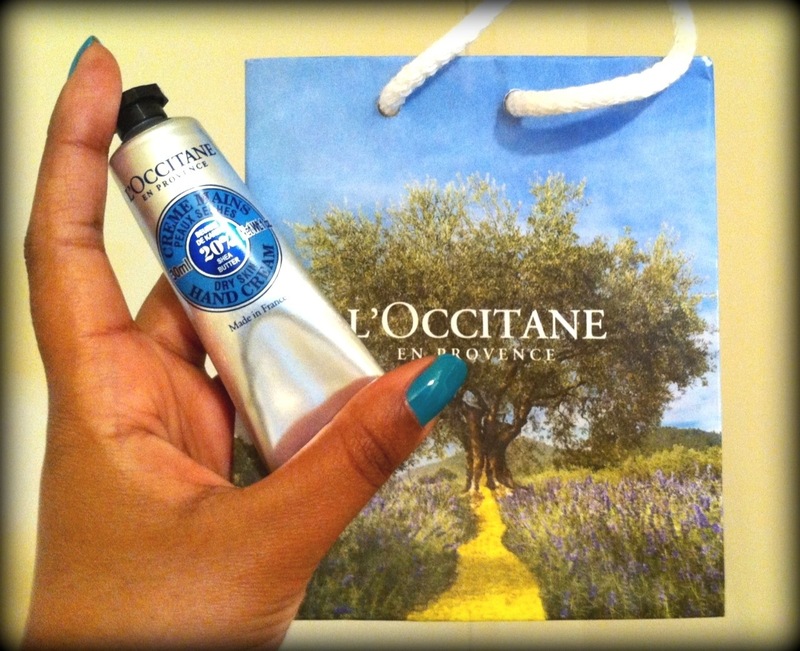 It’s easy: just tell us one tip about makeup, hair or skin care that you use to beat the winter blues! Refer friends to ‘like’ the Facebook page for even more entries! Hurry, Contest closes February 29th! Do You Really Need Expensive Makeup? eyeshadow: depends, there are some great quality palettes out there for under $60 for 100+ colours that work great and last all day. If you can get this, then great, if not, splurge on the colours you wear everyday cuz you don’t want creasing, fading, bleeding, etc and skimp on the special occasion colours you might only wear for a night or for a few hours at a time. mascara: skimp, but within reason. Beware of clumping (mind the brush) or flaking (mind the formulation) but you can generally skimp out in a big way cuz you’ll use so darn much. 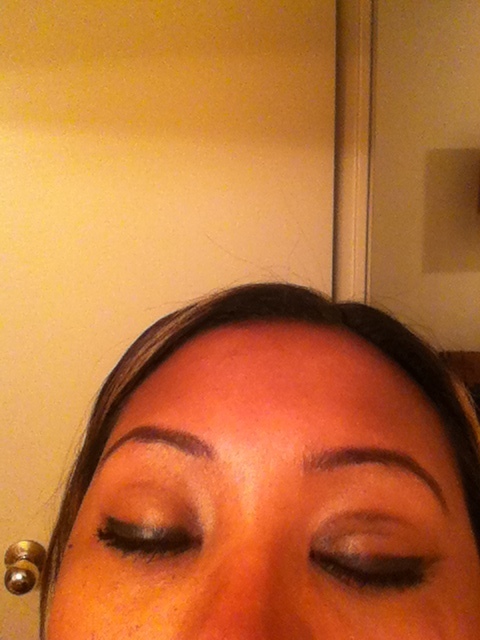 eyebrows: I prefer brow powder w/ a setting gel, always works better than pencil in my opinion. You can skimp or splurge, I find the way to judge is the staying power and consistency of the setting gel; if it’s good stuff, it’ll keep nearly any brow powder in place. 1. Your colours stay true to form because you don’t have old colour built up on the bristles, tinting your colours one way or another or having colour stuck on the brush which causes new makeup to not stick to the brush very well or deposit unevenly to the skin. 2. As brushes deposit colour to the skin, they also pick up oils, sebum, bacteria and environmental pollutants that have ended up on the skin. These little ‘nasties’ can build up on your brush and cause makeup to look streaky or uneven on the skin. They can also, and most importantly, cause breakouts or recurring breakouts of acne & other skin irritations by depositing & re-depositing these nasties onto your skin over & over again. 3. Good hygiene can also extend the life of your makeup products. After using a, for example, lip brush in your lip palette, you need to clean it before going back for any more colour so as not to endanger your client’s health and to prolong the life of your product substantially by making sure there’s no bacteria in it or being added to it. There are 2 methods to cleaning makeup brushes, the Quickie & the Deep Clean. I use the Quickie method when I’m on shoots or between clients to maintain a hygienic work space & working conditions for my clients. The best brush cleaner that I find does the job well is from Sephora called Daily Brush Cleaner or Cover FX Brushes Cleanser (also requires no rinsing). HOW-TO: To use this method, take your brush, spray it several times (3 times for an eye brush or lip brush, 5-7 times for a face/body/blush/contour brush) and, using a clean towel, make circular motions on the towel until all makeup is off the brush, ending with a squeeze to put the bristles back in place. Do this gently, keeping in mind this is a dry clean to disinfect & remove immediate product, not to get right down into the depths of the brush as you could ruin your brushes otherwise. This method is also called a “dry clean” by other makeup artists because since the brushes were never soaked with water, they can be ready to reuse right away. The Deep Clean method should be done WEEKLY for someone who wears makeup everyday for their personal brushes and after each and EVERY work day for an MUA who may have several clients back to back in a day (meanwhile still using the Quickie between faces). Now everyone has different advice on how to deep clean makeup brushes, and they’re not all bad, but some methods are best for some people while not being good for everyone in general; these are tips that are safe/best for everyone to use. Firstly, you have to decide if you’d like to use a brush liquid cleaner or a shampoo. For those with highly sensitive skin, please use a cleaner (I recommend the brush cleanser by Quo at Shoppers Drug Mart) or an unscented baby shampoo. For those who do not have sensitive skin, I recommend using a mild shampoo that is sulfate, phthalate, & scent free. Personally, I use an organic shampoo on my hair that is all of the above & so it suits me very well to use on my brushes as well since I know it’s not too harsh and my skin will not react poorly to it. I do not recommend using “any shampoo” because not just any shampoo will do. After all, you have to put these brushes on your face or your client’s face so please be mindful of everyone’s different sensitivities when choosing the way you clean your brushes (the same goes for reusable makeup sponges). HOW-TO: Take a nickel sized amount of shampoo in your palm, wet the brush under lukewarm water, and turn it bristle side down in your palm while making circular motions. Rinse & repeat until the water runs clear. Make a final rinse with cold water. Make a bed for your brushes with a clean towel partially rolled up. Place the brushes handle up (bristles down) with the handle resting on the ‘pillow’ part of the towel bed (the rolled up portion). This is so that water doesn’t leak down into the handle of the brush & cause the handle glue to loosen. 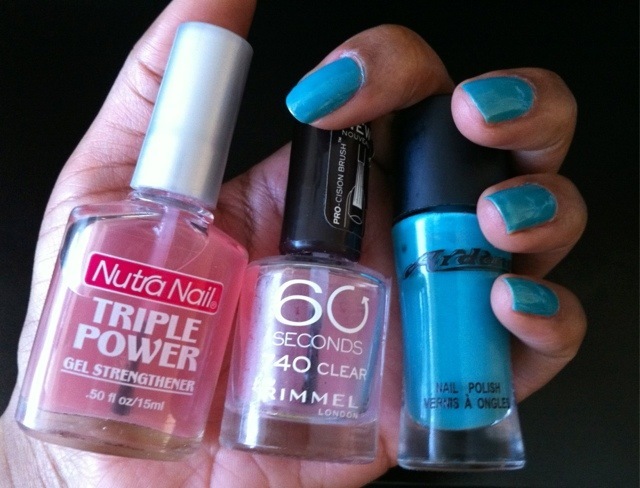 Do this at night so that you won’t be rushed to use your brushes before they’re dry. Some people choose to rinse their brushes with conditioner, however, it’s not something I recommend for most peoples skin since conditioners contain moisturizing ingredients (oils, proteins, etc) that some people’s skin will not agree with. Using a mild cleaning agent is a much safer bet. Hello world… It’s me… Jemz! I’m Jem Lopez a.k.a. 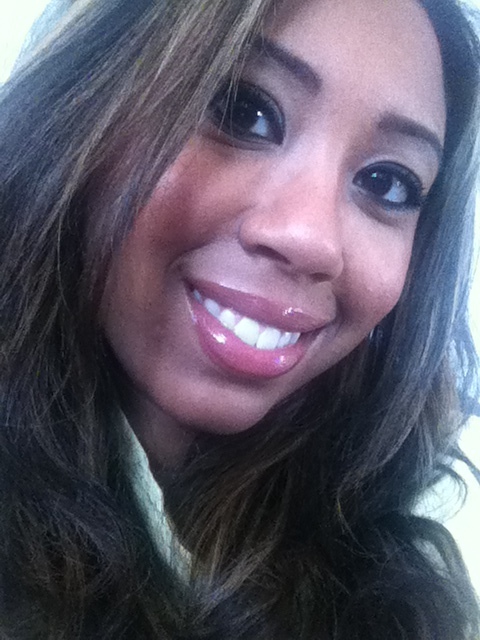 Flawless Jemz, a professional makeup artist & hair stylist living & working in Toronto. I love doing things with my hands like crafting, jewelry making and baking goodies. I spend all my money shopping for makeup & shoes. I love anything purple and making all things pretty. Beware: I’m also a makeup junkie and product hoarder. Wanna know how to solve your beauty dilemma? Need a suggestion on a cheaper makeup alternative to a luxury brand? Wanna know how a product performs? Ask me all your makeup, hair and beauty questions and give me a reason to test and review more products for you! Can’t get enough of me? Find my page on Facebook as Flawless Jemz for all kinds of product reviews, makeup tips & tricks.